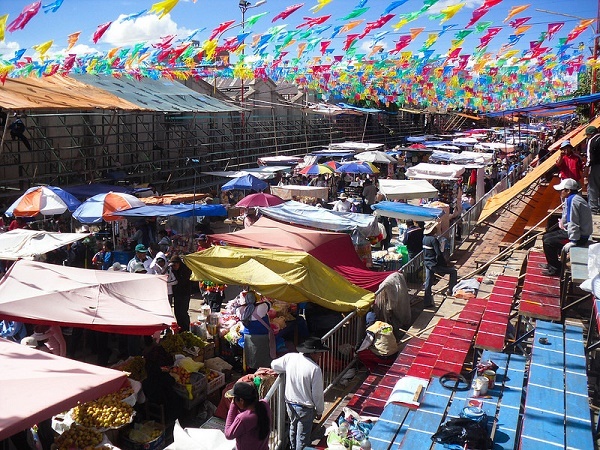 The cost of living in Bolivia is considerably low compared to its neighbouring countries. This is because Bolivia’s annual earnings is also quite low, estimated at approximately US$900, with a GDP per capita of about US$2,900. The country’s government is said to depend heavily on foreign aid. When it comes to purchasing real estate in Bolivia, there are no legal restrictions imposed by the government upon interested foreign nationals. In fact, foreigners are on the same footing as Bolivian nationals when buying property. They are allowed to purchase and own a property under their name, and there are no title insurances in Bolivia. Property prices in Bolivia are considered among the lowest in the Latin American region. Some of the popular expat choices for purchasing property in the country are Cochabamba, Santa Cruz and Magdalena – the major cities of Bolivia. Apartments in the city centre can cost approximately US$850 to US$1,200 per square meter, while a similar-sized one outside the city costs about US$650 to US$1,000 per square meter. In Santa Cruz, a normal U.S style brick and concrete home with a 1,200 square feet interior, three bedrooms and two bathrooms on an 8,000 square feet lot costs around US$60,000. Foreign nationals who are looking for a rental accommodation in Bolivia can contact real estate agents or “inmobiliaria” to help them find a suitable apartment for rent based on their preferences. While this may incur charges and extra costs, expats should remember that Bolivia is a Spanish-speaking country, so dealing with landlords by themselves may prove to be a challenge, especially if the prospective tenant cannot speak or understand Spanish, or the landlord does not speak or understand English. Flats and apartments in major cities like Sucre, La Paz, Cochabamba or Santa Cruz are almost always more expensive than the ones outside the city. Foreign nationals must take note that most apartments and houses for rent in Bolivia do not have fittings or furniture in them, so it may be a wiser decision to look for a furnished accommodation even though it costs more. The price of basic utilities in Bolivia such as electricity, water, heating and garbage range from US$30 to US$75. Local calls are quite cheap when using a prepaid mobile phone – one-minute worth of local calls cost only about US$0.20 to US$0.29. Internet connection rates for cable/ADSL with unlimited data and a speed of 6Mbps costs around US$50 to US$217. The prices of gasoline in Bolivia are quite cheap, with one litre costing only about US$0.50 to US$0.60. Meanwhile, a one-way ticket for a local Bolivian transport costs approximately US$0.25 to US$0.33, and a monthly pass costs US$16.80. Taxi fares are also inexpensive, starting at US$1.00 for a one kilometre ride. All workers in Bolivia are subject to pay an income tax rate of 25% monthly, which is deductible from their wages. Value Added Tax (VAT) for all domestic goods and imports are at 13%, while a 3% transfer tax is charged when buying a property in Bolivia.